Weighing 500 pounds and modeled accurately after smaller instruments, a huge saxophone was displayed not long ago in California. Securely bracketed to the outside of the manufacturer’s shop, the giant instrument formed an impressive advertising display, and to emphasize its tremendous proportions, a young woman who attempted to play it was compelled to mount a ladder to reach the mouthpiece. Wouldn’t it require too much breath to play something this large? And how do you reach the keys with your mouth on the mouthpiece? What’s bogus about trying to play? This photo does not represent an honest attempt to play that saxophone; it represents a pretty girl in a short skirt pretending to play it. And what’s wrong with pretty girls in short skirts? I doubt this would work. You’d need a bucket of water just to get the reed to work well. It did work. It required 3 players: one for the upper stack, one for the lower, and one to blow. Three of these instruments were made; they were melted down for the metal during the war, so no longer exist. 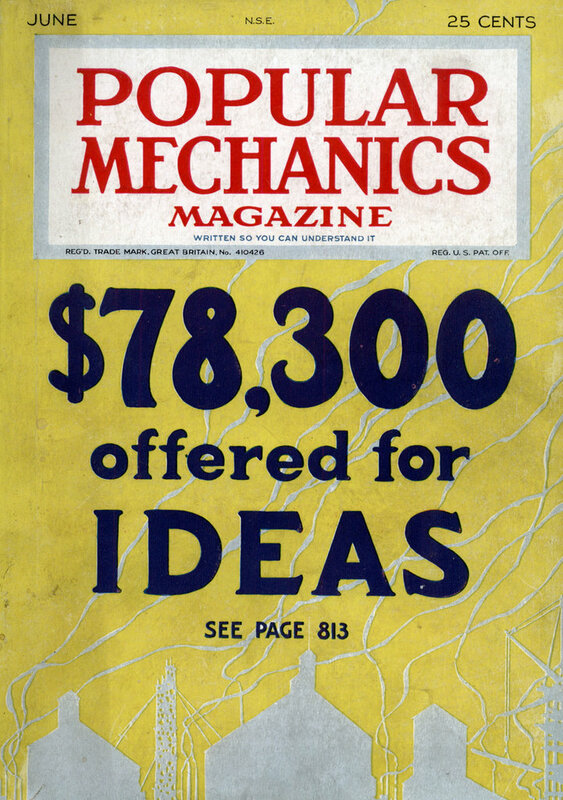 They were a Conn company advertising gimmick, but they really did work. Accounts of witnesses report that “it sounded like an earthquake.” No recordings were ever made, alas. There was an article about these instruments (double e-flat contrabass saxes) in Saxophone Journal years ago.